This is my collection , what a huge difference in sizes they could catch anything from serious bluewater speedsters to Jungle Perch. 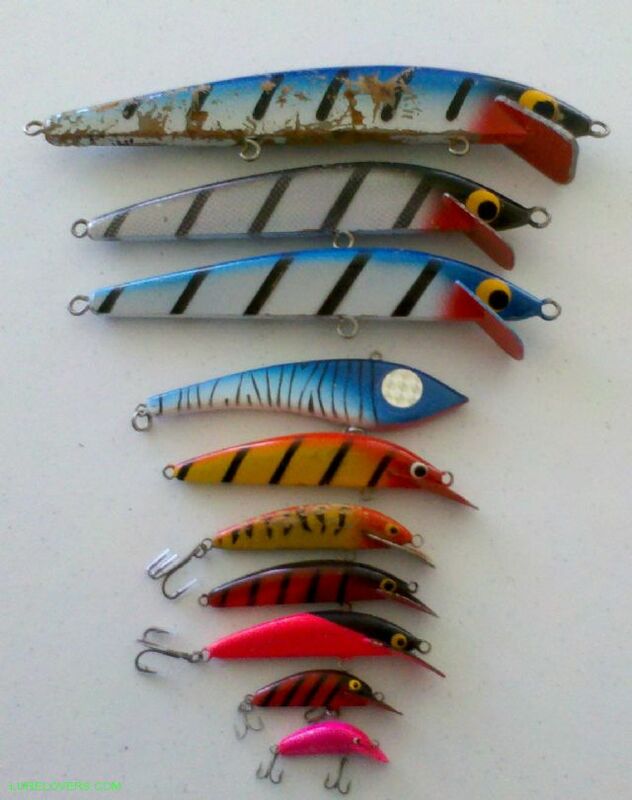 If I remember correctly, Bob Adams offered the lures in custom colours on request. I'm in a bit of a rush at the moment so haven't had time to check, although it might be mentioned in the thread on Bob Adams Bio. 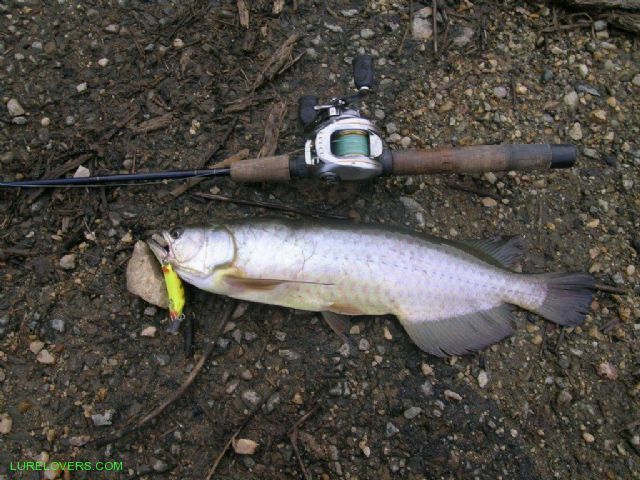 Yep, 3rd from the bottom was definitely a custom paint, I haven't even seen that lure before. 5th up from the bottom was one of my favorite colors, Dad made me guite a few of those. Good collection you got there, full set nearly. Yes they are mate .